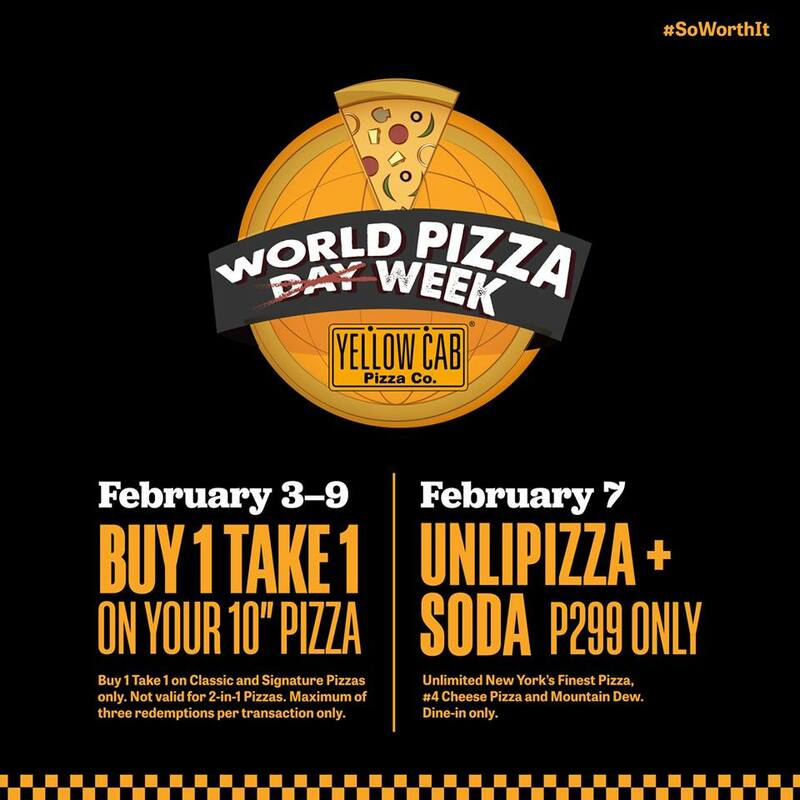 Celebrate World Pizza Week with Yellow Cab's Unli Pizza + Soda, on February 7, and Buy1 Take1 Promo happening from February 3 to February 9, 2019. Who’s up for Unli Pizza and Soda? 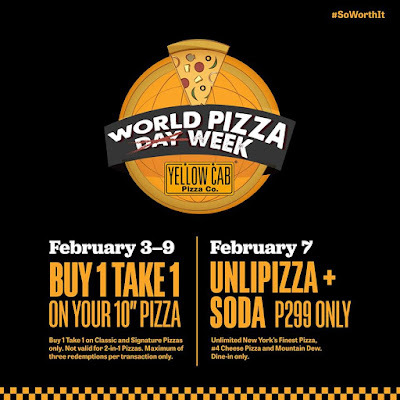 On February 7, celebrate World Pizza Week with all-day unlimited New York’s Finest Pizza, #4 Cheese Pizza, and unlimited Mountain Dew for P299 when you dine in at participating Yellow Cab stores. 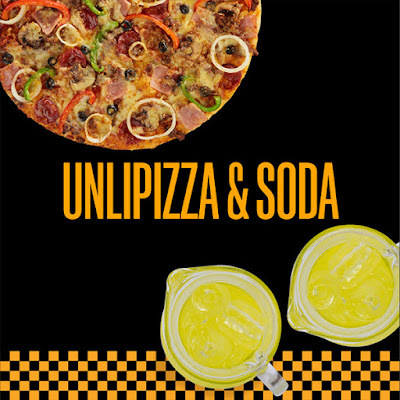 Enjoy all-day unlimited New York’s Finest, #4 Cheese, and unlimited Mountain Dew for P299, when you dine-in at Yellow Cab branches on Feb. 7, 2019. One day promo only on Feb 7, 2019 from 12am for 11:59pm (for 24-hour stores), and regular operating hours for other stores. Can’t come to #UNLIPIZZA? 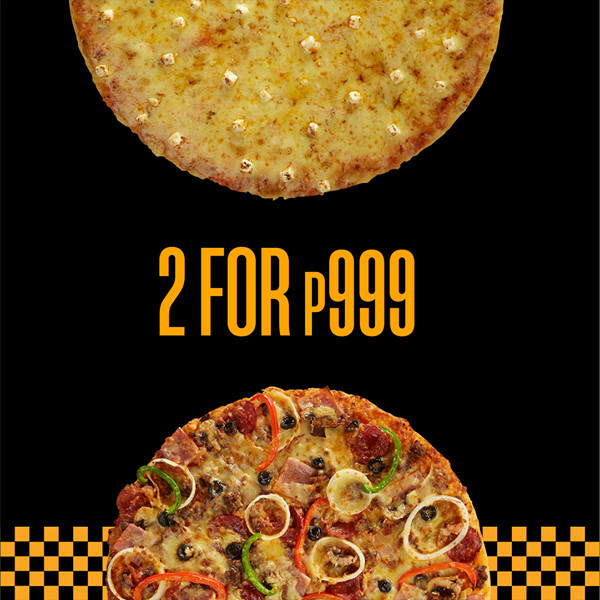 Celebrate World Pizza Week at home with 2 for P999: Get one (1) 14” New York’s Finest Pizza + one (1) 14” #4 Cheese Pizza for only P999! Valid from February 3-9, 2019. This promotion is available in selected Yellow Cab stores nationwide EXCEPT Kidzania, MOA Arena, Camaya Coast, Brent, Subic – Sampson cor. 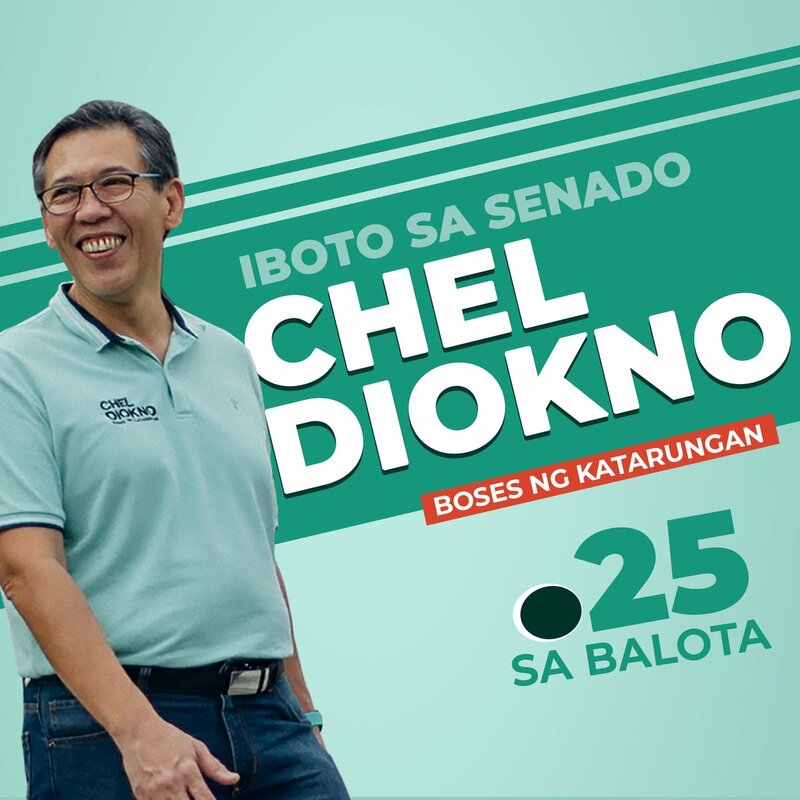 Dewey, SM Cauayan, San Fernando, The District Imus, Centennial, Bacoor, Starmall Daang Hari, Sto.Tomas, Batangas, Lipa Highway, SM San Pablo, Sto. 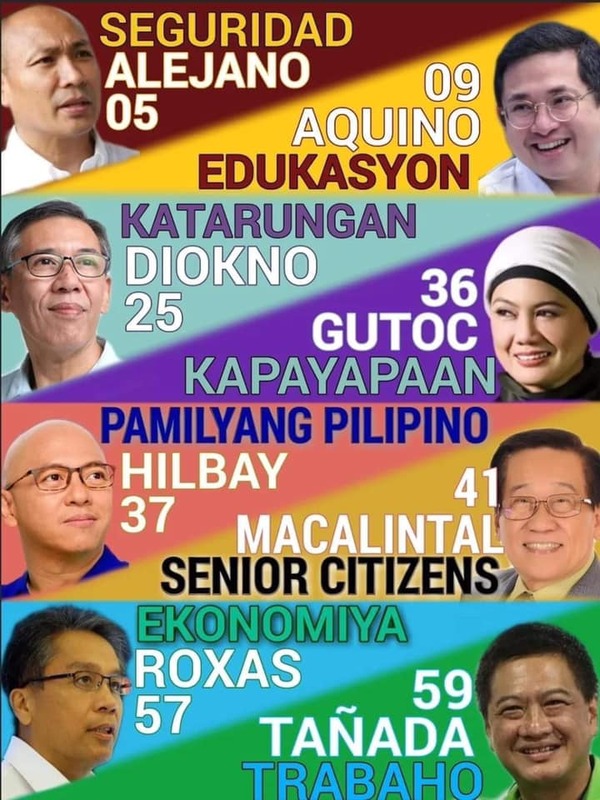 Tomas Batangas, Starmall Prima Daang Hari. Limitations: 1) Not for 2-in-1 Pizzas. 2) Capped at max 3 pizzas per transaction. 3) Except Legendary Pizza variants and Dear Darla. 4) Free pizza should be the SAME PIZZA purchased.